MSNBC is distancing itself from a guest who asserted on Monday that Louisiana Governor Bobby Jindal "might be trying to scrub some of the brown off his skin." Arsalan Iftikhar, a human rights attorney and commentator, made the racially-tinged remark on MSNBC's "Now with Alex Wagner." It immediately prompted criticism. An MSNBC spokeswoman told CNN on Tuesday morning that Iftikhar won't be appearing on the channel again. "We found this guest's comments offensive and unacceptable, and we don't plan on inviting him back," the spokeswoman said. Iftikhar didn't immediately respond to a request for further comment. But on Monday night, he told CNN, "I will apologize to Bobby Jindal when he apologizes to seven million American Muslims for advancing the debunked 'Muslim no-go zones' myth." Jindal did no such thing on Tuesday. Instead, he faulted MSNBC for giving Iftikhar a platform in the first place. The governor compared Iftikhar's criticism to liberal filmmaker Michael Moore's recent assertion that "snipers aren't heroes." "It's embarrassing for MSNBC to give voice to such shallow foolishness," Jindal told CNN in a statement. "Much like Michael Moore denigrating our military servicemen, these comments deserve no comment." He continued: "I will not be silenced. Radical Islam must be stopped and we must stop pretending. It is time for the Western world to face reality. These are not cultural differences, this is the difference between right and wrong. It is wrong to treat women as second class citizens and it is wrong to shoot civilian teenagers in the head for watching soccer on TV. Period." Iftikhar was responding to the Republican governor's statements, during a speech in London, about supposed "no-go zones" for non-Muslims in Europe. The idea of "no-go zones" -- where Islamic law is allegedly observed and where local police fear to operate -- has been widely circulated by right-wing media outlets, but has been contradicted by officials in France, Britain and elsewhere who say it's an exaggeration not supported by the facts. British Prime Minister David Cameron has pushed back on the idea, saying that, "when I heard this, frankly, I choked on my porridge and I thought it must be April Fools Day." On Saturday, Fox News apologized for a number of its recent segments about "no-go zones." 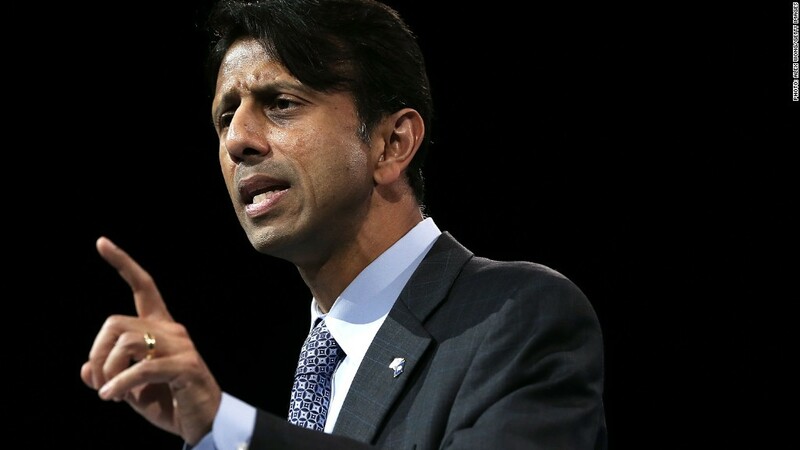 After his speech on Monday, Jindal's decision to invoke "no-go zones" was scrutinized by political analysts; some concluded that he is trying to position himself for the upcoming Republican presidential primaries by ratcheting up his rhetoric against radical Islam. In interviews with CNN, Jindal was asked for specific examples of "no-go zones" but did not name any. He commented to CNN's Max Foster that "the radical left absolutely wants to pretend like this problem is not here." On MSNBC, a favorite channel of liberals, Wagner read that quote to Iftikhar. He pounced, ascribing political motivations to Jindal's stance. "I think Governor Jindal is protesting a bit too much," he said. "He might be trying to, you know, scrub some of the brown off his skin as he runs to the right in a Republican presidential exploratory bid." Jindal is Indian American. He was raised Hindu, and converted to Roman Catholicism as a teen. Iftikhar added, "I think it's the worst common denominator of American politics -- to marginalize any minority demographic group. I'm pretty sure that Governor Jindal will come to his senses, hopefully in the next couple of days." Iftikhar's comment immediately drew complaints from conservatives. "MSNBC upped the ante in their quest to attack Republicans on Monday when a guest made a racially charged attack," wrote the Washington Free Beacon. Web sites like The Daily Caller and The Right Scoop also picked up on Iftikhar's remark. Iftikhar appears on MSNBC and CNN regularly; he recently garnered press attention when CNN's Don Lemon asked him if he supported the terror group ISIS. Now he's gaining attention for a very different reason. He laid low on social media after Monday's MSNBC appearance, choosing not to respond to tweets like this one from conservative political strategist Matt Mackowiak: "Your outrageous, racist, bigoted, disgusting attack on @BobbyJindal requires an immediate, public apology."